We are engaged in offering a wide range of Manhole Covers (YAA) to our esteemed clients. Offered in 200, 300, 400, 450, 500, 600 and 800mm, our range is made using superior grade SS304 and SS316L raw material. Designed in compliance with the DIN and ISO standards, our range finds wide usage in , milk, food & beverage and pharmacy industries. Being a quality oriented organization, we are involved in providing supreme quality range of Stainless Steel Manhole Cover. We are offering Stainless Steel Manholes to our clients. Owing to the wide experience in this domain, we are instrumental in offering Stainless Steel Manhole Cover to our clients. 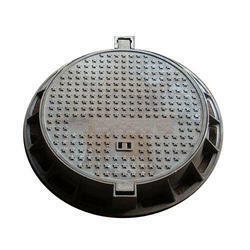 Stainless steel manhole cover is a removable plate forming the lid over the opening of a manhole. This is to prevent anyone or anything from falling in. Enriched by our vast industrial experience in this business, we are involved in offering an enormous quality range of Stainless Steel Manhole Cover. Our company has sculpted a remarkable place in the market as a reputed firm of SS Chamber Cover.